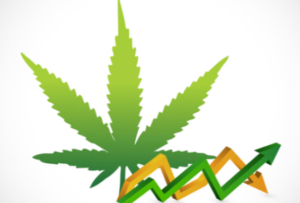 Marijuana – or cannabis, as its devoted followers prefer to call it – has lit up the stock market. This new sensation follows the plunge of yesterday’s “can’t miss” speculation, Bitcoin. No client has asked us about these stocks, which strongly suggests that you know we wouldn’t own them. Aside from any ethical considerations, you have to wonder about the business case for something that is literally a weed. But maybe I’m wrong. Could it be that the dandelions and crabgrass in my backyard are going to make me the next Warren Buffett?